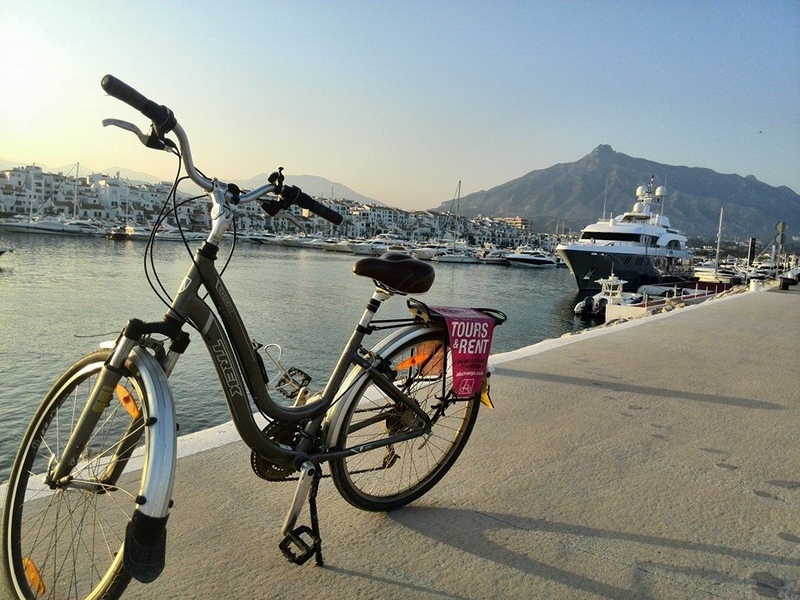 A Bike Tour give you the chance to explore Marbella’s life, history and charm in an easy and environmentally friendly way! Our well trained and bilingual guides will lead you through narrow streets, lesser-known public places, through the esplanade along the Mediterranean sea and through various parks. Get to know the history behind magnificent palaces or crumbling fortresses and enjoy some exercise at the same time! If you prefer to find your own way around then we can also arrange for Private Hire of a range of high-quality mountain or road bikes with helmets and child seats if required to be delivered to your hotel or accommodation.